Responsible development of the Alberta oil sands reveals complex challenges that are driving technological innovation across the country. These innovations are key to continuous performance improvements in the industry. Canadian businesses are developing solutions to challenges both new and old, and are helping to establish Canada as a world leader in tailings reclamation, water treatment and liquids storage. 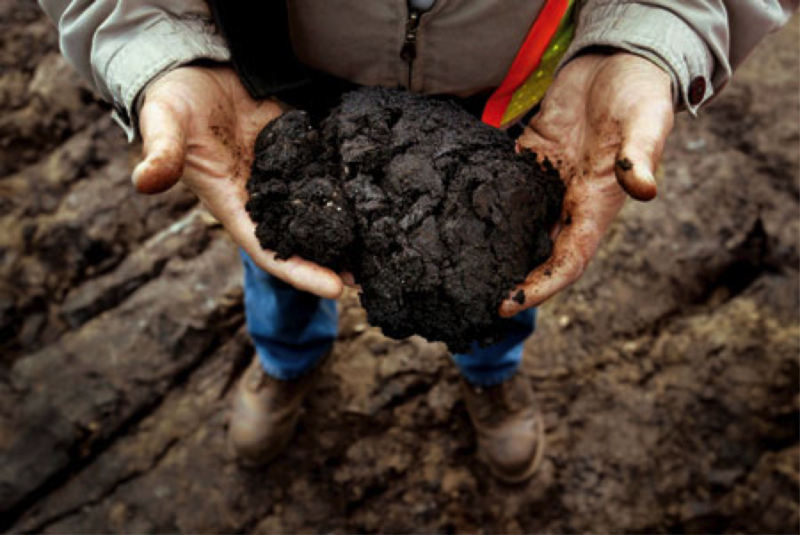 A byproduct of oil sands processing plants, tailings consist of clay and other process effluents mixed with water. The resulting solution is contained near the production in tailing ponds that pose great and growing concerns about the impact on the environment. ElectroKinetic Solutions Inc. (EKS), has developed a patented electro-kinetic reclamation (EKR) technology to help manage tailings, reduce freshwater use and speed up land reclamation in the oil sands. EKS uses electrodes to apply an electric current to the tailings. The electricity separates water from the tailings and compacts the clay into a more firm material. Once separated, the water is of sufficient quality to be reused in the oil sands extraction process, which reduces the freshwater draw from other sources. The clay becomes dense, settles out and over time compacts into a solid, allowing land to be reclaimed more rapidly. EKR has been proven to be effective in laboratory scale tests, and field tests are planned for 2014. The EKR process promises additional benefits, including the ability to treat tailings in place, which reduces handling and the need for heavy equipment or infrastructure. There is also potential to apply EKR to other mining operations that need to manage tailings. Advances in waste water treatment are helping to close the loop in oil sands steam-assisted gravity drainage (SAGD) extraction. SAGD uses a pair of horizontal wells that are drilled into the oil reservoir, one a few metres above the other. High-pressure steam is continuously injected into the upper wellbore to heat the oil and reduce its viscosity, causing the heated oil to drain into the lower wellbore, where it is pumped out. The current water recycling rates of companies using SAGD to extract bitumen are between 85-90%. The remaining 10-15% blow-down solution contains too much salt and organic matter to be reused. Saltworks Technologies of Vancouver, BC, has developed a machine that uses waste heat from the SAGD process to produce distilled water from the waste water. Saltworks’ SalktMaker machine separates out waste as solids, which are then bagged for safe disposal. The patented process recycles the heat four times, in multiple effects, making four batches of water for one batch of waste heat. The water can then be reused in the extraction process. The machine reduces energy consumption, freshwater withdrawal and waste volumes leaving the facility. Ben Sparrow, CEO and founder of Saltworks, says the SaltMaker is helping to bring recycling closer to 100%. The first full-scale installation was at a natural gas field in Australia. This early implementation of the technology has allowed Saltworks to bring the technology back to North America. Two pilot projects are currently underway in the US, and a third has been established at a site in BC. The SaltMaker is coming closer to adoption in the oil sands, with planning underway for a field implementation in 2015/16. Implementation in the oil sands will increase competitiveness by lowering the cost of production and driving sustainability. It is also helping create a new industry for Canada as we become experts in treating the toughest water in the world. The SaltMaker can also be used to make fresh water from seawater where the only available energy is the sun. Waste heat applications in the oil and gas sector are helping increase production of other applications, such as off-grid solar thermal. The oil sands region of Fort McMurray, Alberta, is home to some of the most extreme conditions in the industry. Winter temperatures can drop as low as -40 degrees Celsius while liquids entering a storage tank can be near boiling point. With $10-30 million invested in tanks at an oil sands production site, creating tanks that can endure these punishing conditions is critical. STT Enviro Corp (STT) of Milton, Ontario, has developed a technique that allows liquid storage tanks to withstand the extreme internal and external conditions common in oil sands development. STT ships its factory-manufactured bolted tank section from its manufacturing partner where a specialty epoxy coating is applied to the inner wall to address heat issues within the tank. The tanks are then shipped in sections to the production site in the oil sands where they are assembled using an innovative jacking system, which reduces the requirements for heavy equipment and scaffolding. External insulation is added as protection from outside temperature extremes. While the tanks are used for storage in other environments, the change in epoxy has allowed the tanks to be used in SAGD operations where the bolted tanks have several benefits compared to welded storage tanks, including a lining lifespan of up to four times longer than welded tanks and cost reductions of 20-30%. In the wake of these innovations, and with the promise of more to come, the industry is definitely heading towards a more environmentally conscious and sustainable future.